provide this facility will be termed as YONO cash points. 1. Visit SBI YONO website- www.sbiyono.sbi and click on 'Login'. 2. In the next step enter your net banking user ID and password. Now click on 'Login' again. 3. Now, from YONO dashboard you can check your account details and carry out other e-banking related activities. In order to make cardless cash withdrawals, scroll down to the bottom of the page and under the 'my rewards' section, you will see options like YONO Pay, YONO Cash, Bill Pay, Products, Shop, Book & Order. Among this, click on YONO cash option. 4. In this step, you will be guided on how much cash can be withdrawn per transaction in one day. Net banking users can withdraw a minimum of Rs 500 and maximum of Rs 10,000 in a single transaction. 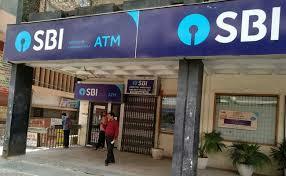 However, in a particular day, one can withdraw a maximum of Rs 20,000 from an SBI ATM via the YONO website. Go through the details and click on 'Request YONO Cash'. 5. You can view the balance amount in your savings account. Enter the amount you want to withdraw from the ATM and click 'Next'. 6. You need to initiate the cash withdrawal through YONO website by mentioning six-digit YONO cash pin for the transaction.